Gas prices fall, SUV sales rise: It's like a law of physics. Ford Explorer sales are up 9 percent so far this year. Thankfully, today’s trucks aren’t quite the environmental catastrophes that their ancestors from a decade ago were. The biggest sales growth has been among crossovers like the Honda CR-V, which can get 34 miles on the highway (crossovers look like SUVs but get better mileage because they’re built on car platforms). 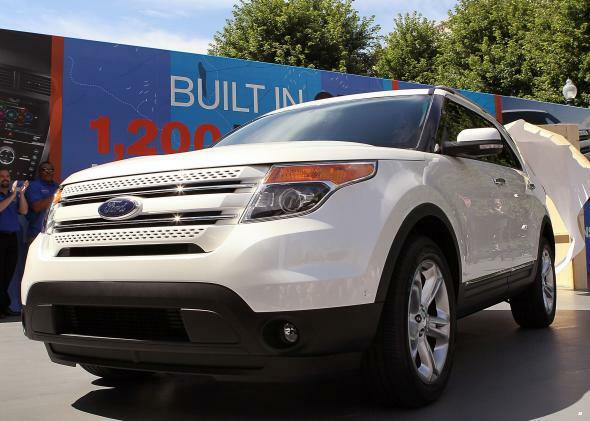 Even a traditional SUV like the Ford Explorer can manage 28 MPG on the highway, up from 21 in 2004. As Slate contributor Dan Gross put it on Twitter, “these gas guzzlers are much more efficient.” And, thanks to the Obama administration’s very ambitious mileage standards (one of its more underrated achievements), they’ll keep getting more efficient, even if customers are a bit less worried about what they’re paying at the pump. Still, our car-buying habits are one of the more powerful demonstrations of how consumers are biased toward the present. When people show up to the dealer lot, they’re thinking about their gasoline budget for the week, not what it might look like in three to four years, when they’re stuck with the same old vehicle.